Real worship is about more than enjoying music, and it is about more than what we do on Sunday morning. Worship starts with the heart; recognizing our brokenness and need for redemption, and coming to know God as He has revealed Himself through His Word. 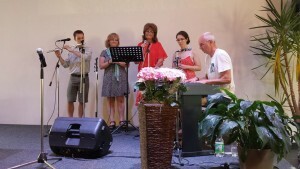 Crossroads Music Ministry seeks to lead the congregation to worship the living God with one voice, to give Him glory, and respond to Him with humility and worship. 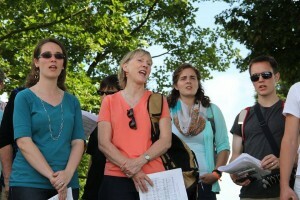 Interested in learning more about Crossroads’ Music Ministry? Contact Hannah Jinks, Director of Music at hannahjinks@crossroadspca.net. • Our Music – God’s Word is central to our songs; it defines not only who God is but how we are to approach the true God who is worthy of our praise. As the psalmists showed us, true worship focuses on the living God rather than ourselves, but we respond with authentic, God-directed emotions. Our worship should include praises, laments, prayers of confession, and prayers of thanksgiving. • Our Resources – Music at Crossroads reflects a variety of musical styles and includes psalms, hymns, and spiritual songs. Our resources include hymns from the Trinity Hymnal, Celebration Hymnal and others; Psalms from The Book of Psalms for Singing; modernized hymns and psalms from groups such as Indelible Grace, Passion, Sovereign Grace Music, and Getty Music; as well a variety of God-centered praise songs. We utilize both traditional and contemporary instrumentation. The fact is, it’s not about us. It’s not about our gifts, our musical preferences, our experiences, or background. It’s about God and His work in and through us! God has called us to worship Him in spirit and truth, and in fact is seeking this kind of worshiper. Whether we are singing our favorite hymn on Sunday morning with the saints, or sitting in an unexpected logjam on the beltway, we are called to worship. At that moment, when we choose to turn to God and give Him glory rather than ourselves, we worship. In Sep. – Oct. 2015, a Russian vocal group “LYRA” is going to the US with a concert tour. LYRA is a group of 5 members (females and males) who are professional opera singers or professional musicians of other music occupations. In 2001 we were awarded the Montreux (Switzerland) international choral festival diploma. In 2005 our group was also a winner of Coleraine International Choral Festival (Northern Ireland). 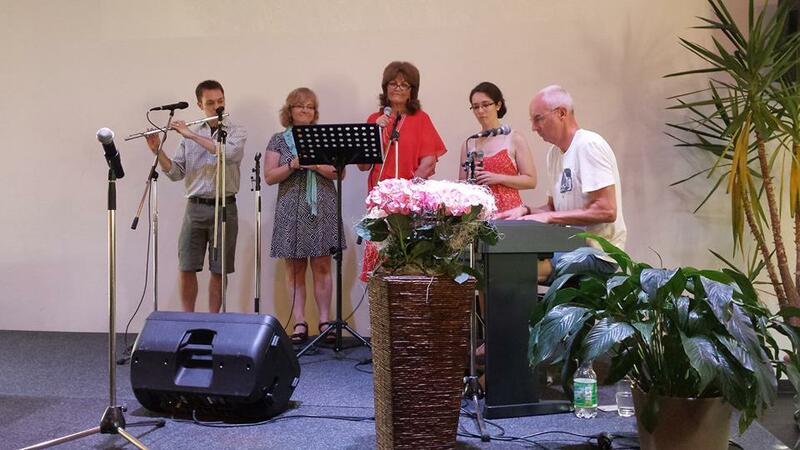 The main aim of our activity is to make Russian Church music well known in other countries by concerts and singing in ecumenical worships, and also to bring traditions of Russian folk music to people who are interested in Russia, its history and its culture. Our group regularly goes with concert tours to the US and European countries (Germany, Switzerland, Sweden, Austria, England, Ireland). Now we are trying to get in touch with parishes, musicians, music organizations and all people in your country who are interested in a cappella music. If you want to meet richness of Russian musical heritage and invite our group to your church please contact us simply by answering this mail. This will be a great and unique experience for your congregation and community. Every year, since 2001, we tour around the US. Over 150000 Americans have listened to us and could prove the quality of our performance. We have made friends with many people who, we are sure, will be glad to say a word for us. We will be delighted to provide you with some references. If you have any questions we would be happy to answer all of them. At your request we can pleasantly send you some WEB links with VIDEO recordings of our singing from the concerts in the past. We would be happy to sing for you and your community.